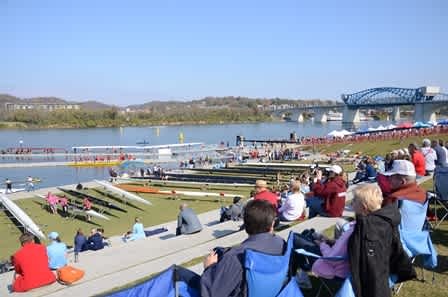 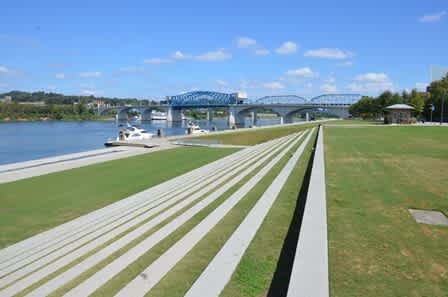 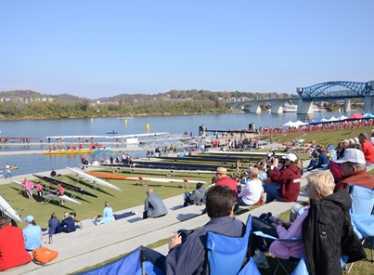 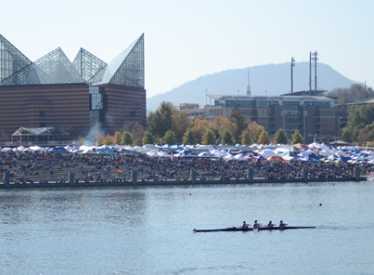 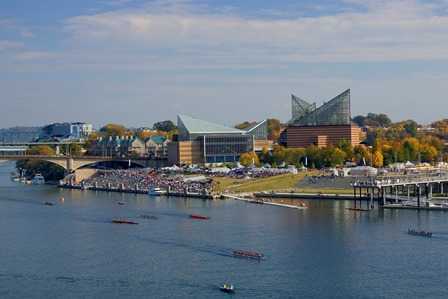 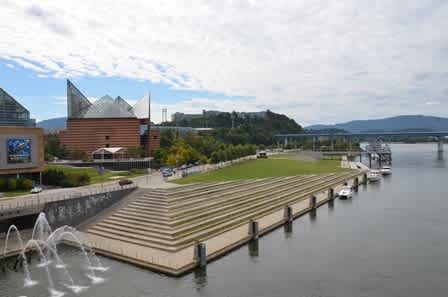 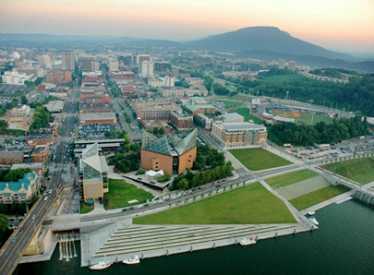 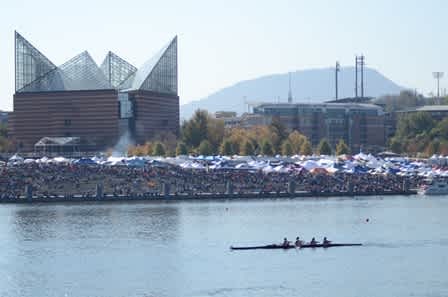 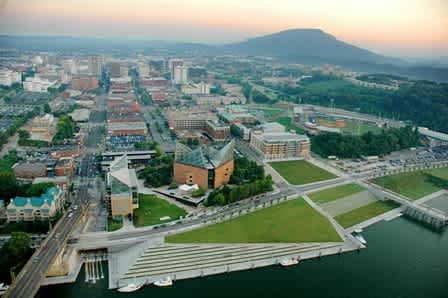 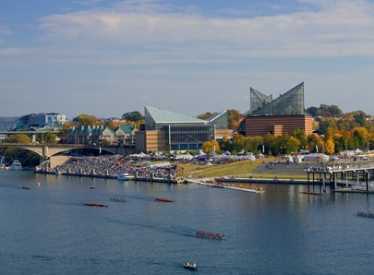 Newly renovated park across from the TN Aquarium featuring a river pier, marina, natural amphitheatre and the Chattanooga Green which can be used for small festivals, concerts, and for park users to enjoy a great view of the river. 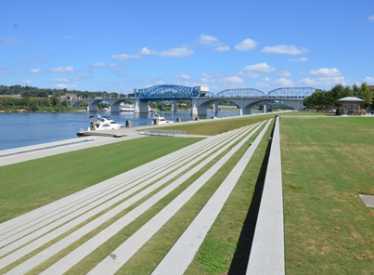 There is a public boat landing area at Ross's Landing. 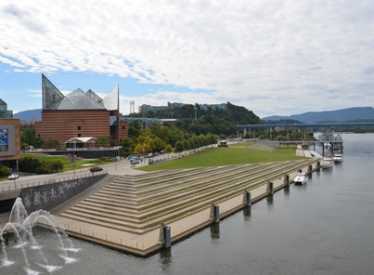 For reservation information, click here.